Branson Landing is without a doubt one of the best shopping places in Branson where most visitors and locals alike want to look for some great shopping and dining opportunities. With awesome shops, fine restaurants, fun activities, and of course spectacular fountain show, there is no other great place to hang out by the lake. Plus exciting attractions, theaters, entertainment shows, parks, and museums, fun activities abound in the area. In Branson Landing, you can find everything you are looking for. No matter what priorities you are up to during your vacation in Branson, from live entertainment shows and fine dining to camping and outdoor adventure, you’re sure to spend a little time shopping, a favorite past time of every traveler. Luckily, you are in a place where shopping is easy and convenient – and full of variety – thanks to hundreds of retail shops that will make your vacation experience in Branson complete. 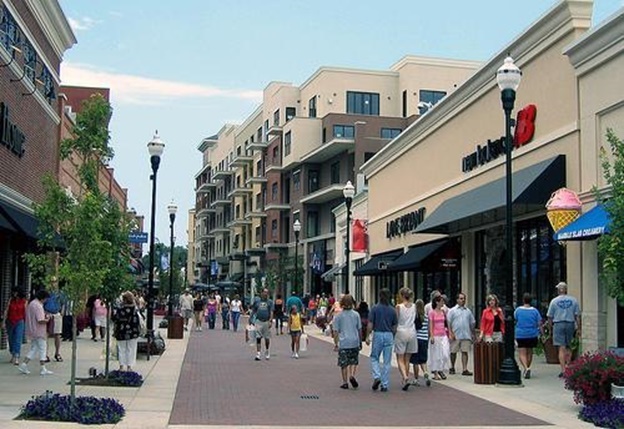 While you are spending a great time in Branson, get the chance to stroll along Lake Taneycomo and explore the shops of Branson Landing, where you can have a great shopping opportunity at Belk Department Store that features brands from Liz Claiborne to Nike. And if you are a sport enthusiast, don’t miss to visit Bass Pro Shops also in Branson Landing that offers everything you need for your sports adventure. You will also find a variety of niche shops in the Landing like Cardinals Clubhouse and its great selection of St. Louis Cardinals gear and ladies apparel. Branson Quilts is another popular store in Branson Landing where you will find amazing selection of décor including bedspread, or a gift to help keep your loved one snuggle when the winter chill sets in. If you want to look for more shopping opportunities, you can take a short stroll from Branson Landing which will lead you to some of downtown Branson’s famous shopping destinations. If you’re a fan of crafts, you can check out Plum Bazaar where you will find beads and supplies to help you create unique gifts, jewelry and other gift items. If you want to shop for more, try the focal point of retailers at Branson Craft Mall. Here you will find some 200 booths full of different kinds of wares, from pottery to stained glass to Christmas décor. At Branson Craft Mall, get the chance to sample sweets from Branson Fudge Company or order sandwich from the Pickin’ Porch Dell that can give you more strength for more shopping. Tanger Outlet Mall is another great shopping place in Branson that offers tons of choices. Whether you’re interested in something from the Disney Store or Toys R Us Express, or some great items from Coach or Christopher and Banks, Izod or Under Armour, Tanger Outlet Mall has got you covered. When you are anticipating a shopping spree during your vacation in Branson, shop at some of the best shopping destinations such as Branson Landing and Tanger Outlet Mall where you can find everything you are looking for.